To work to promote the observance of human rights in all their various aspects, especially but not limited to civil, political, economic, social, and cultural rights as a comprehensive and interrelated system of rights. To promote the education of persons in the Commonwealth of the Bahamas regarding their human rights and responsibilities. To set up mechanisms to investigate, collate, record, analyze, and publicize abuses of human rights. To seek ways and means to remedy abuses of human rights, whether through the Courts, other Tribunals, workers’ organizations or otherwise, as the case requires. 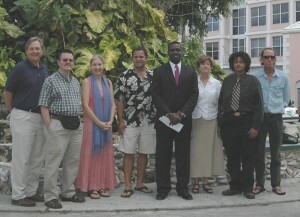 To establish methods of resolving human rights disputes in the Bahamas in particular those means which are supplementary, or alternative to litigation, in the form of Alternative Dispute Resolution (ADR) techniques. To liaise with and support other human rights organizations in the Caribbean and elsewhere, as the Association deems fit.